Long before our official beginnings in April 2003, we've created unparalleled value for our customers -- not by offering a sub-standard product at a low price, but by offering top-quality, feature rich IT solutions. While it's true that now there are many "value" hosting companies - we focus on what we call, Custom(er) needs. Constantly improving on flexibility towards our customers, we keep listening to you and only offer solutions which suit your needs. 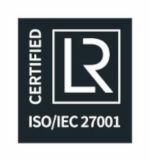 With over 20 years experience in the field, we have not lost our primary objective "Delivering outstanding levels of service and support to ensure, the experience our customers enjoy is as productive, cost-effective and uninterrupted as possible." Listening is a crucial part of our customer service interactions. Making sure that our teams have the listening skills necessary, is an essential part within NFOrce Entertainment B.V. Customer service conversations shouldn't be about us, our skills, our organizations, or our products; they should always be about your experience and needs. We mastered these skills from 1995 and ongoing with our own website with forum and IRC channel with up-to a million visitors a day, through sharing knowledge, listening and working together. Using a consultative approach, our team of highly skilled IT professionals work with clients to understand the needs of the business both now and in the future, listening to requirements before offering advice. Our ethos is built upon providing our clients with a flexible and personal service and we will always go the extra mile to ensure our client's productivity is maximized no matter what. When you need to power a wider range of workload, select the best Servers or VPS' for the job with the NFOrce Entertainment B.V.'s extensive line of Servers, VPS' and Software solutions, offering a high flexibility in configurations and unleashing superb computing performance on our top notch network. Our enterprise-level network, 24/7 support, software and hardware are enough to take you wherever you want to go. Whether it is one small website, or your own network with millions of users, we can make sure you have a hosting solution that keeps you online and your users happy. Our infrastructure ensures you a higher level of quality, reliability and flexibility, where you benefit from the full capacity of our network, no overselling, no port sharing, no hidden fees, no-nonsense. Whatever you need, whether it's dedicated servers, VPS or colocation, our knowledgeable team will give you personalized service and bespoke solutions for your business. We also offer technical support with hands on access to your servers whenever you need help. Ensuring your IT services run smoothly, is as important to us as continuously investing in our network and technical infrastructure. Our team of highly skilled, knowledgeable engineers and account managers are on hand 24/7/365 to help with anything you need. We are always striving to improve and take the time to understand the diversity of our clients and their needs and requirements, so you can achieve more. 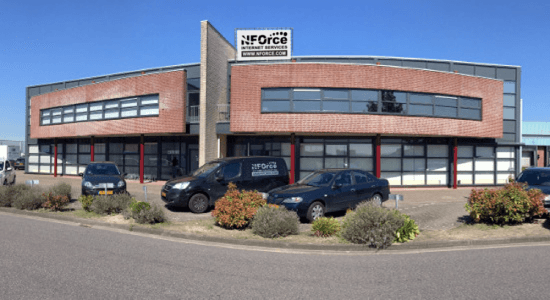 NFOrce Entertainment B.V. © 2019 (20:47 CEST), all rights reserved.